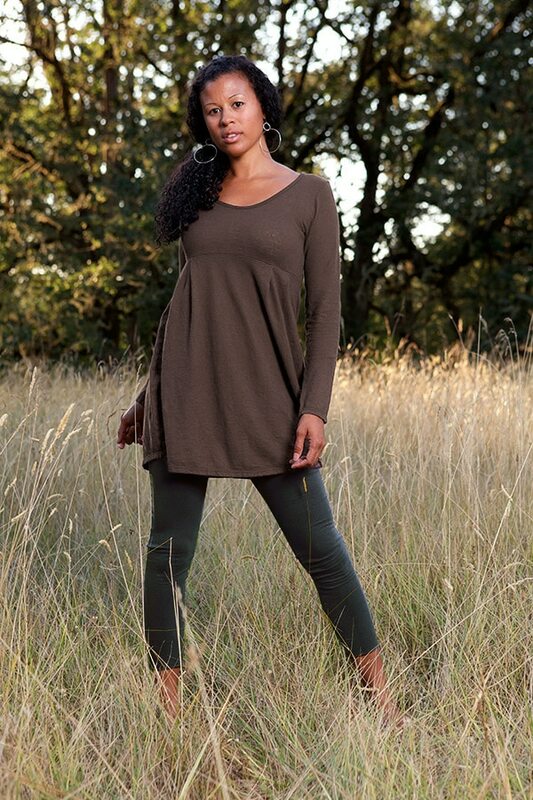 Our long sleeve baby doll dress is perfect for seeing you through pregnancy and beyond. Styled with ample drape to provide comfort and style. Couple with our Blessed Mama Pants and you will delight in how amazingly comfortable and supportive this outfit is! Post-pregnancy, this will be one of the most versatile pieces in your wardrobe. 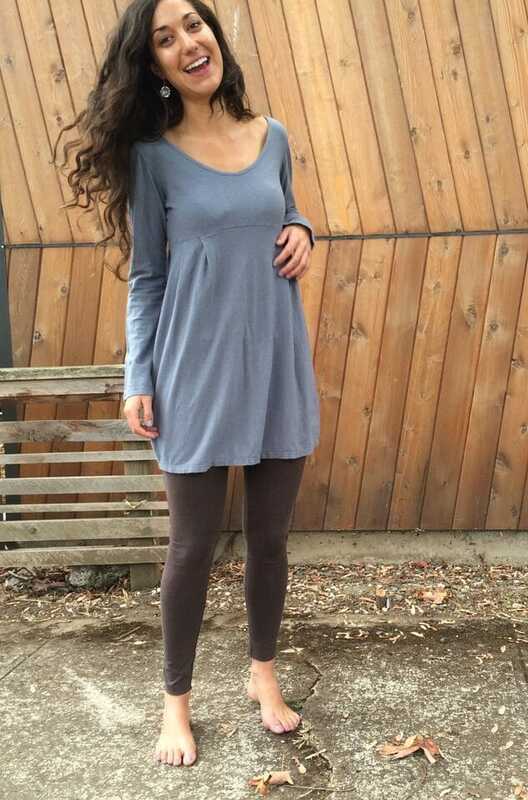 Designed to be worn flowing as is or dress it up with a belt depending on your mood. Great as a cover up too! 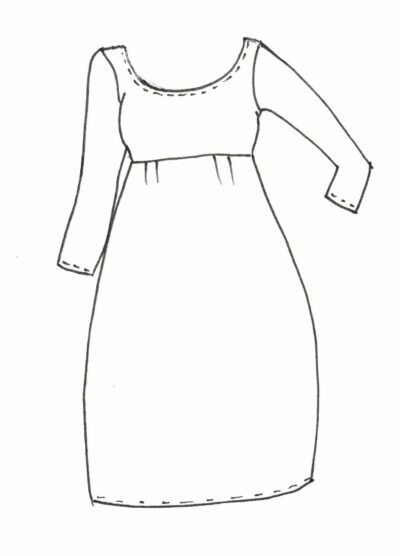 Cut in a tunic style, bubble skirt that hits mid thigh.